Tungsten Mining, is an Australian-based emerging tungsten developer. The company is currently engaged in the exploration and development of tungsten projects in Australia. 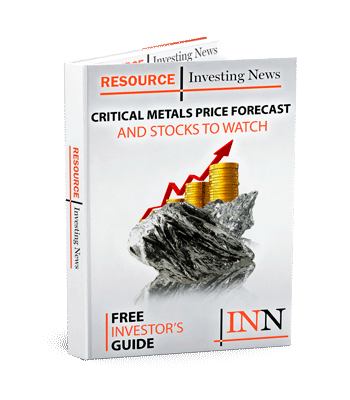 Tungsten Mining (ASX:TGN), has released an update for the Mt Mulgine tungsten project, highlights include the company’s continued advancement of the development plan of producing tungsten concentrate from Mt Mulgine in early 2019. Global tungsten prices are at 4 year highs with APT Price recently breaking through US$350/MTU further enhanced by current foreign exchange rates (AU$473/MTU). The company submitted its mining proposal to the department of mines, industry regulation and safety (DMIRS) on July 13, 2018. In addition, the company has also submitted its works approval to the department of water and environmental regulation (DWER). These are the critical permits required for the conduct of the company’s mining and mineral processing activities at Mt Mulgine. The mining proposal is a document containing detailed information on identification, evaluation and management of significant environmental impacts relevant to the proposed mining operations, as a requirement under Division 2 of Part IV of the Mining Act (1978) DWER regulates industrial emissions and discharges to the environment through a works approval and licensing process, pursuant to Part V of the Environmental Protection Act 1986. A substantial body of work has been completed to enable these detailed submissions to be completed. The company is grateful for the efforts of its project team and the many skilled consultants that have contributed to this work. The Company anticipates receipt of the relevant approvals in the September and December quarters.